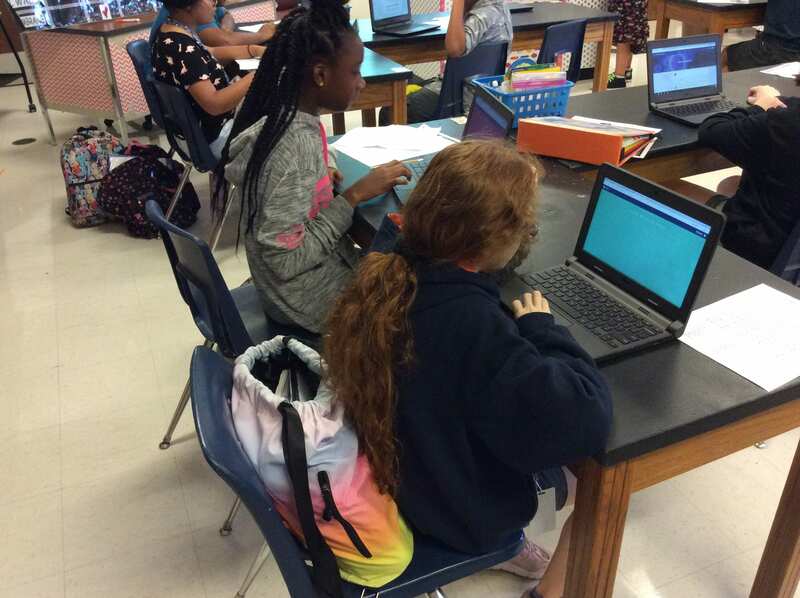 6th graders are utilizing the Chromebooks in their science and math classes. 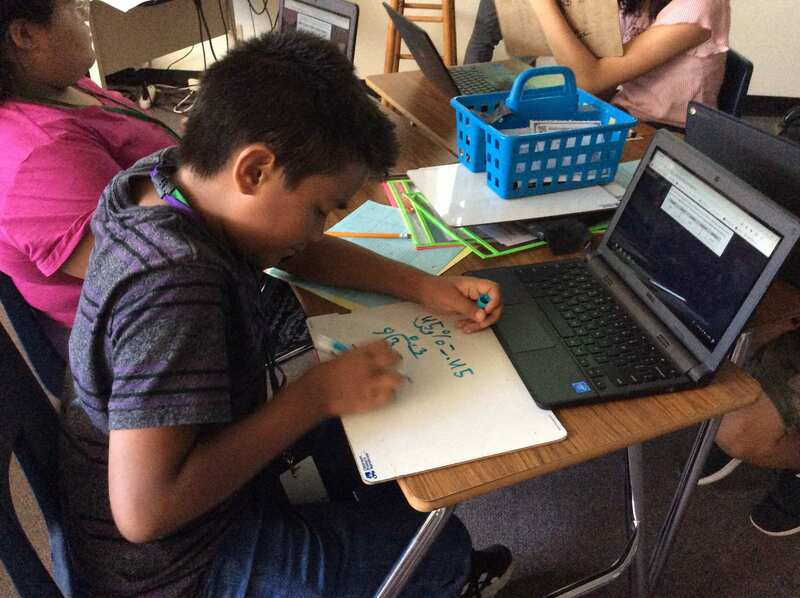 For example, in Ms. Baucum’s room, students are using Socrative to practice converting fractions, decimals, and percents. 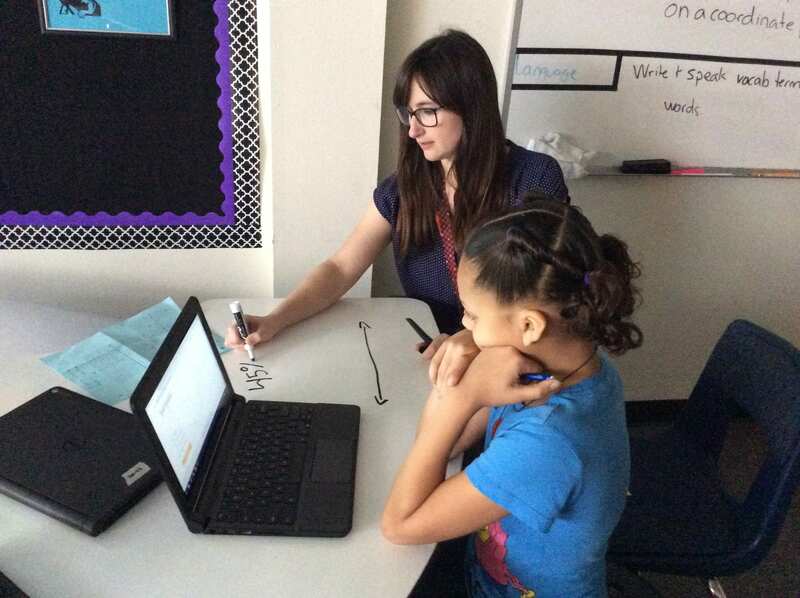 Socrative is great for giving the teacher feedback as well, so teachers can easily see who might need a little extra assistance. 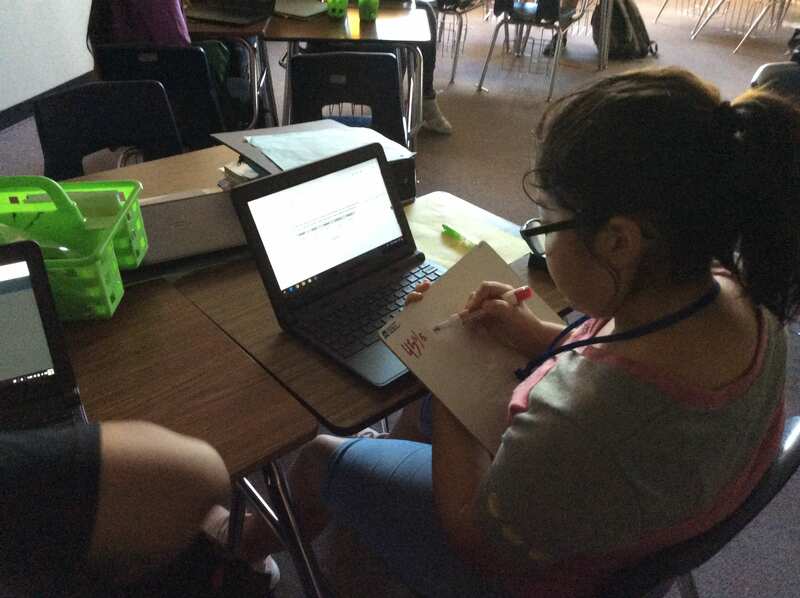 Also, using technology doesn’t mean that students can’t use other tools, like whiteboards, to help them accomplish their goals. 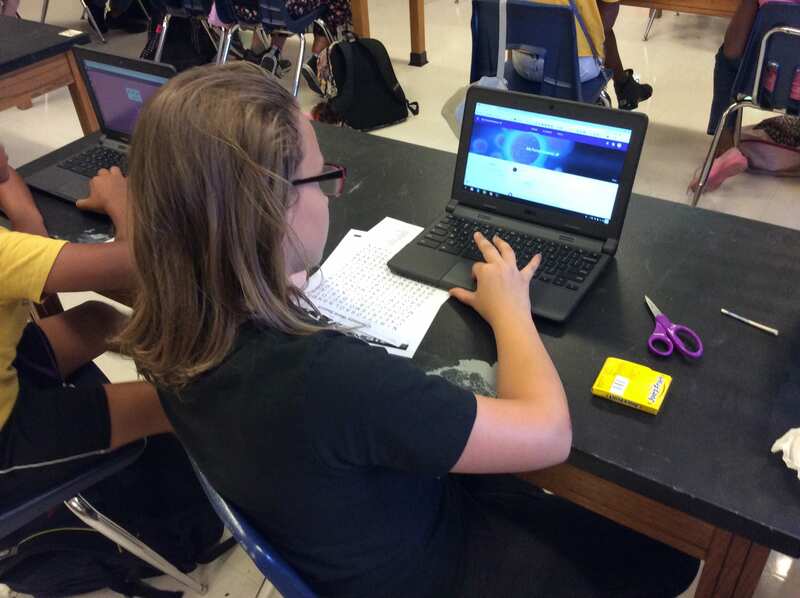 In addition, in Mrs. JP’s room, students are using Quizizz as a review right before an assessment. 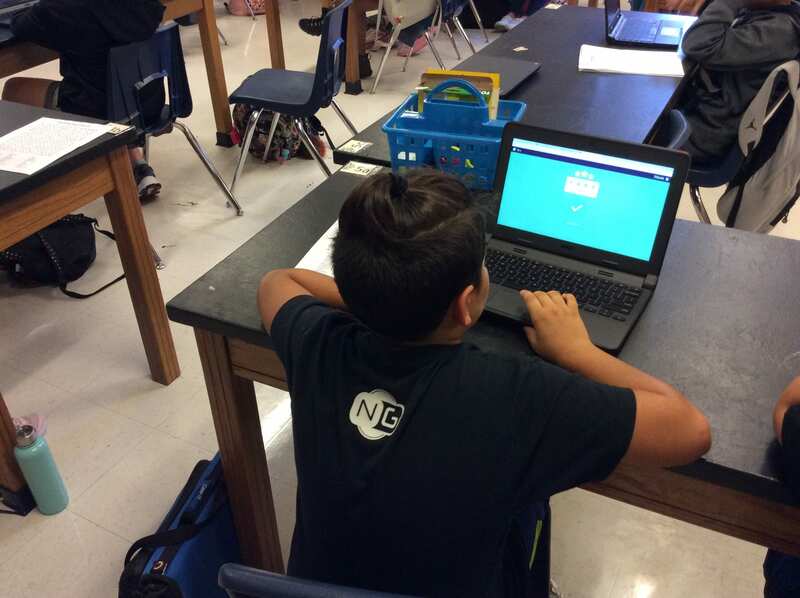 One of Quizizz’s benefits is that student get immediate feedback on whether they were right or wrong. 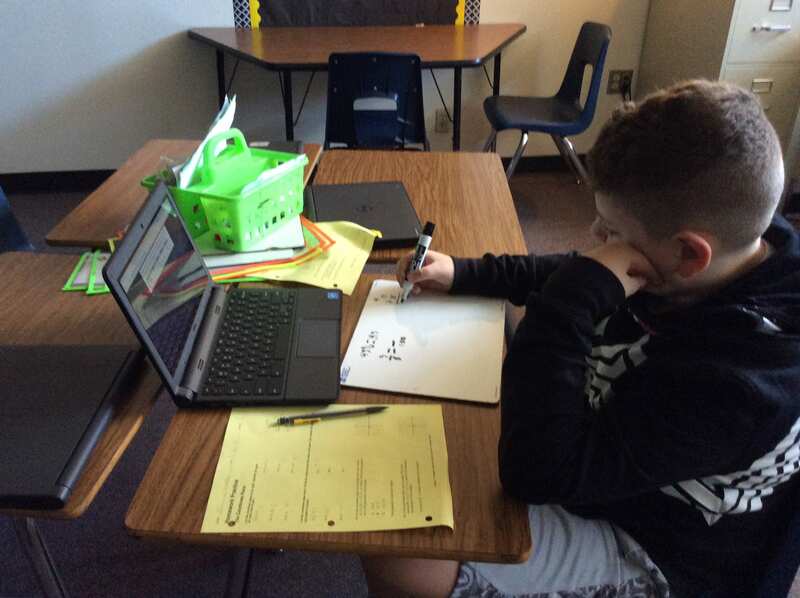 That is a definite plus when students are getting ready for a test.